Since the CMSA came out, we’ve known that under section 57 all complaints will go directly to the Registrar initially, who has very broad powers to deal with the complaint. Notably, if the Registrar is not able to resolve the complaint, the Registrar has the authority to refer the matter to the discipline committee. Composition: The CMRAO Board (or the Minister, if necessary) will appoint at least five members each to sit on the discipline committee and the appeals committee, at least one of whom has never been a licensee (i.e. a condominium manager). Appointments: A person can sit on both the discipline and appeals committee at the same time. Each committee with have a chair appointed (and possibly vice-chairs). Once appointed, each committee member will be required to take, and sign, an oath. Appointments will be for three-year terms. However, the CMRAO Board can terminate the appointment of a committee member at any time for cause. In our view, the discipline committee will be the second level of authority in the complaint process (the Registrar is essentially the first level of authority). Limitation: The CMRAO Registrar must refer a complaint to the discipline committee within two years of receiving the compliant. Purpose: The committee’s purpose is to hold a “semi court-like” hearing, that is open to the public, to review the complaint. In other words, the committee will likely follow a typical court hearing process, but may allow relaxed rules respecting evidence and testimony from witnesses. When a complaint is referred to the discipline committee, the chair will assign a three member panel (made up of two licensees and a non-licensee) to hear and determine the matter. Parties: The CMRAO (and not the person who initially brought the complaint) appears to be the moving party, and the condominium manager (that is the subject of the complaint) would obviously be the responding party. The committee has the authority to add any other party to the proceeding, if necessary. Parties may represent themselves at the hearing or appoint legal counsel on their behalf. Notice: Once a hearing date has been set to review the complaint, the committee must give the parties at least 45 days notice of the hearing date. Evidence: If the CMRAO plans to tender evidence at the hearing, it must disclose the evidence to the parties 30 days before the hearing. Any other party (including the condominium manager), must disclose any evidence they plan to tender 15 days before the hearing. Closed Hearing: If necessary, the committee can order that the evidence and submissions at the hearing be closed to the public. Notice of Committee’s Decision: Once a decision has been made, the committee must send the final decision or order (including a notice of appeal rights) to the parties and to the person that made the complaint (even though the complainant may not be a party to the hearing). Unless otherwise ordered, the decision must also be made public. Again, in our view, the appeals committee will be the third level of authority in the complaint process, after the Registrar and the discipline committee. Purpose: The purpose of the appeals committee is, obviously, to hear appeals from a decision of the discipline committee. The appeals committee will follow essentially the same process as the discipline committee with respect to disclosure of evidence and notice of a decision. Limitation: If warranted, a party must appeal a decision from the discipline committee within 30 days of the discipline committee’s order. Commencement of Appeal: To start the appeal process, the appellant must deliver to the appeals committee: 1) a Notice of Appeal (that sets out the parties to the appeal, the order being appealed, the grounds for the appeal, and the relief sought); and 2) the required filing fee (set by the CMRAO). The appellant must also serve a copy of the Notice of Appeal to the discipline committee and the other parties to the appeal. Parties: The parties to the appeal are, of course, the appellant, the other parties to the proceeding before the discipline committee, and any other person as added by the appeals committee. The bottom line is that while the complaints and discipline procedures may appear intimidating or cumbersome, the process seems to be structured to permit the Registrar to handle (and dismiss or resolve) the majority of complaints that come in. It appears structured such that only truly serious complaints, with due merit, will proceed past this first step. Stay tuned to Condo Law News for more updates on the new legislation as it comes into force. 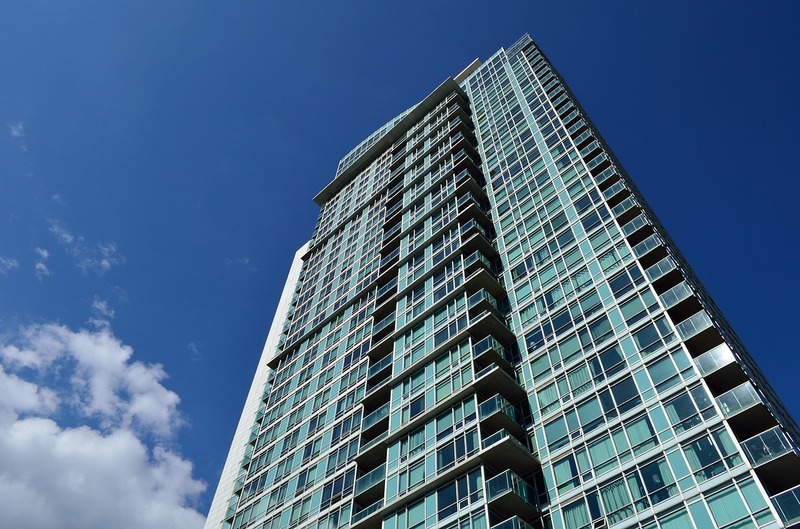 As we previously reported, section 57 of the Condominium Management Services Act (“CMSA”) establishes a complaint process under the new licensing regime. And now, the proposed regulations under the CMSA (circulated by the Ministry on August 30, 2017) provide further insight into the complaint process. – Any alleged violation of the Code of Ethics. – Licensees must respond to the Registrar’s request for information as soon as practicable. – In responding to a complaint, the Registrar can choose from several options, including resolving the complaint themselves or referring the complaint to the discipline committee. – If the request for information is made to a condominium manager, the Registrar will also give notice to the principal condominium manager that employs the manager. – The licensee and the condominium’s board of directors, if the licensee is a condominium manager employed directly by a condominium corporation. – Providing information requested by the Registrar relating to the conduct of a licensee or a potential contravention of the CMSA or the CMSA’s regulations. The intent of the regulations seems to be that if the Registrar requests information to investigate a complaint about a condominium manager, or the Registrar takes action against a condominium manager respecting a complaint, both the condominium manager and their employer (if applicable) will receive notice from Registrar. Stay tuned to Condo Law News for more in our series of blogs coming shortly to give more details and comments about these proposed regulations. Next up will be our review of the discipline process.